Varicose veins are not only a cosmetic issue – they can negatively impact a person’s quality of life. For the last few years, FV Hospital’s Vascular Surgery Department has been using LASER ELVeS Radial™, a versatile, easy to use system which allows minimally invasive treatment of venous diseases. The procedure can be performed under tumescent local anaesthesia and no hospitalisation is required. Varicose veins affect about 15 per cent to 30 per cent of adults and become more common as people age. In mild cases, the only discomfort patients might experience is related to cosmetic problems caused by varicose veins. In severe case, varicose veins may cause a heavy feeling in the legs, pain, inflammation, muscle cramping or even deep vein clots or skin ulcers that never heal. 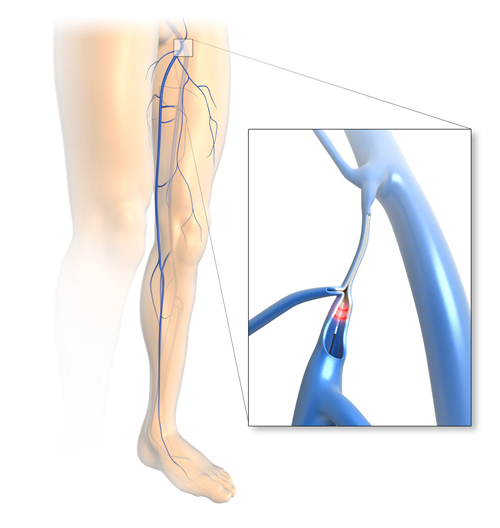 The technology of using endovenous laser energy (by inserting a fibre laser into the vein) was first applied 10 years ago in other parts of the world and hundreds of thousands of patients have been treated with this method since in France and in developed countries, especially in the U.S. This technique is commonly applied to the saphenous veins (superficial veins) and branch veins. This procedure reduces the risks associated with classical surgical intervention. In classical surgery, varicose veins will be removed; this new procedure uses laser energy to destroy the vein from the inside. ELVeS Radial™ is an optimum treatment solution for an effective, gentle endovenous laser therapy. ELVeS Radial™ delivers a homogenous laser emission based on a unique and patented distal design. The 1470 nm laser energy is preferentially absorbed in the intracellular water of the vein wall and in the water content of blood, resulting in a complete treatment for occlusion of the vein. The base for this endovenous laser therapy is to use heat from laser light with a 1470 nm wavelength to destroy the enlarged vein by causing it to collapse and seal shut. 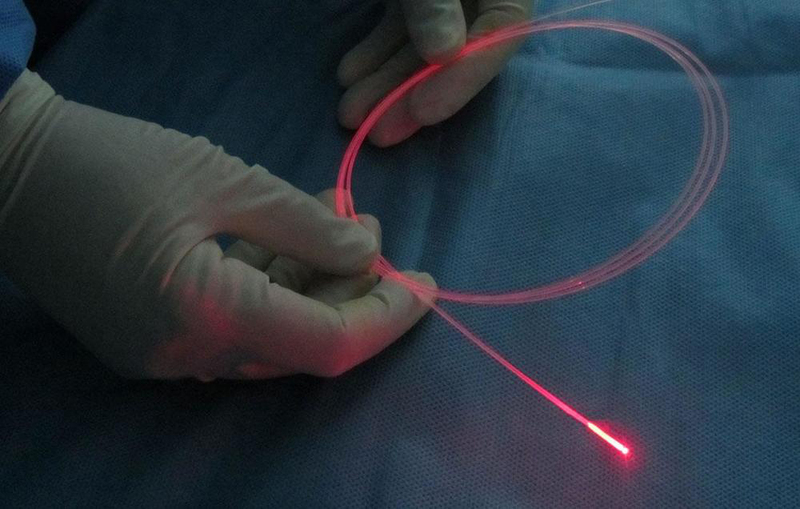 During the procedure, the surgeon inserts a laser fibre into an enlarged vein. The laser beam then is emitted onto the vein requiring intervention and the catheter is pulled back to shut the vein walls. ELVeS Radial™ endovenous laser therapy is more convenient than classical intervention for patients, and it minimises any post-operative inflammatory pain and bruising. Treatment with ELVeS Radial™ offers a better outcome, an improvement in term of aesthetics and a shorter recovery time. Patients can return to normal activities immediately after the procedure. 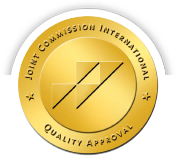 The fibre comprising two radial rings applies energy more safely and more accurately than any other fibre type in the endovenous market. A micropuncture kit is used to insert the fibre directly into and along the vein in a quick, safe one-step procedure. Optimal monitoring and positioning of the fibre tip is possible thanks to excellent ultrasound visibility. With this state-of-art technology, there is now no need to use a long catheter and tube. The potential benefits of endovenous laser treatment include reducing the size of varicose veins or eliminate obstructions of the treated veins, as well as improving blood circulation thanks to the stimulation of blood flow in deeper veins. In more than 95 per cent of cases, uncomfortable symptoms due to varicose veins will disappear completely without the need to wear elastic stockings. Endovenous laser treatment for varicose veins does not have a negative impact in terms of aesthetics, does not leave a permanent scar and has a short recovery time, meaning patients do not usually need to take time off work.